I generally get heart palpitations when I see high wedges, but co-worker Kate was totally rocking these faux-snakeskin Steve Madden's at bagel table on Friday. I'm not sure I have the coordination to float as gracefully as Kate - but they totally made me wish I did! 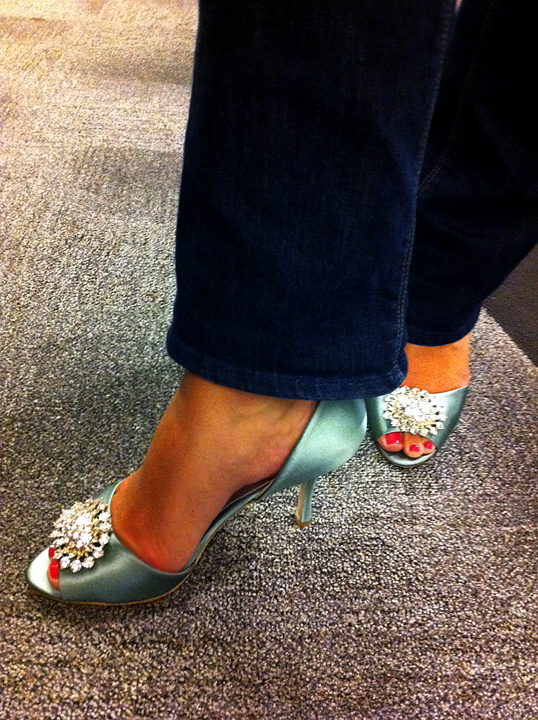 And this is why a nice pedi matters! Super sassy! 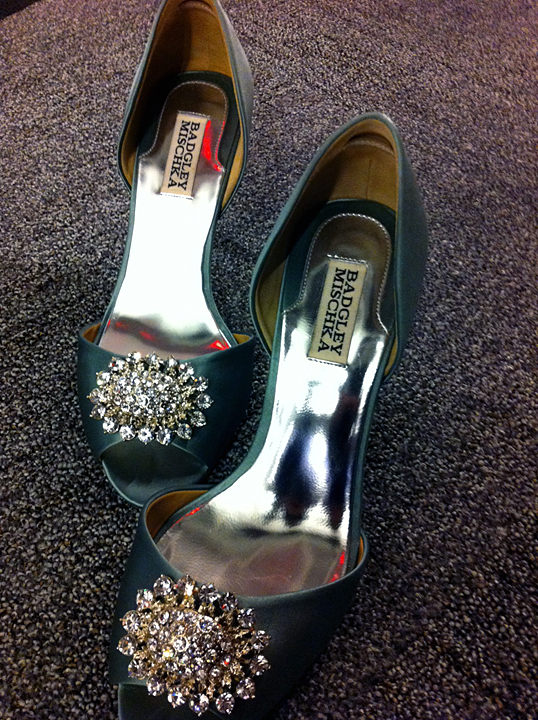 Oh Badgley Mischka, you are so beautiful! 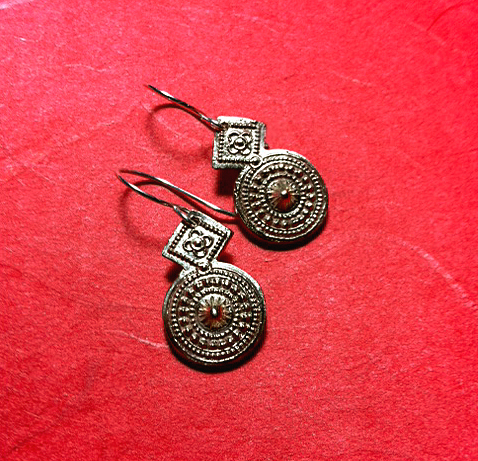 Some new bronze work using antique designs from India. These pieces were fired last night and received a light polishing. 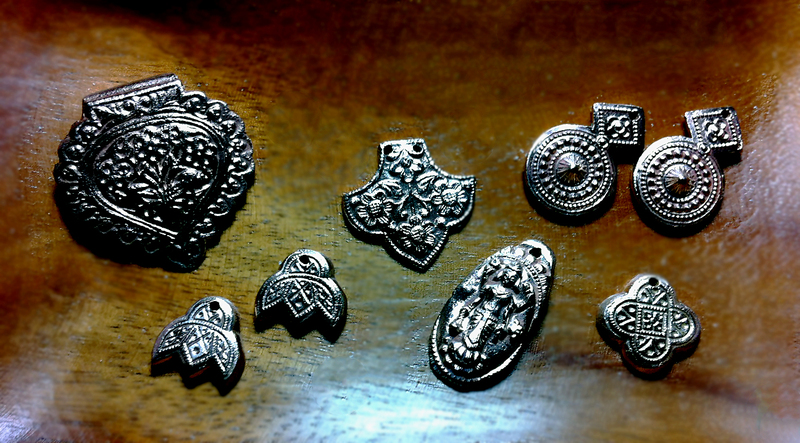 I haven't finished the polish or applied a patina (or even decided what some of these pieces will be - but the first image is a pair of earrings for me! Bronze on sterling silver wires. This design will definitely make its way to Etsy by this weekend! 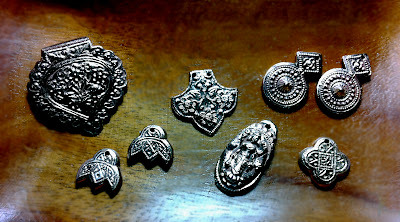 A pendant that will probably be hung on a Garnet chain, perhaps some other earrings, a bronze Lakshmi - the others? I don't know yet! Speak to me new bronze!